MIG, TIG, and SMAW welding services onsite and in our shop. Mill maintenance and shutdowns. Custom fabrication services for industrial, commercial, and residential. Precision Metal Works is equipped to provide services to industrial, commercial, and residential clients. We provide our clients with a top quality product on time and within budget. We bring new ideas and any custom fabrication projects to reality. 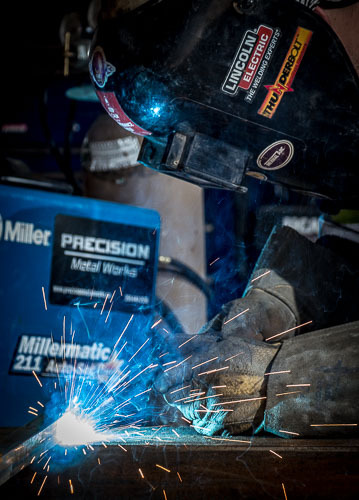 We have equipment available to provide onsite welding and fabrication. We supply man power for service, repair and maintenance. MIG, TIG, and SMAW welding services for all types of applications. We custom design, build and install any steel, aluminum or stainless steel project. Here are some of our latest posts from various projects we've been working on.